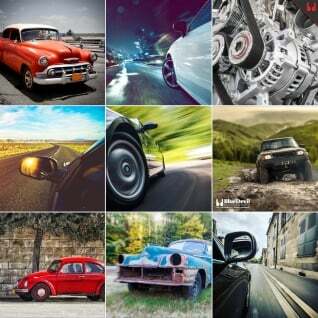 Having a manual transmission in your vehicle used to be relatively common. They were more robust, cost less when they were new, and usually allowed your vehicle to get a few more miles per gallon. Today fewer and fewer cars are being purchased with a manual transmission. The demand is actually getting so low that many automobile manufacturers aren’t even offering a manual transmission as an option in even their sportiest of vehicles. For a great read on the trends of vehicle manufacturers and manual transmissions, check this Fox News article on how manual transmissions are getting rarer. For the real driving enthusiast, there is no substitute for a manual transmission. Among this crowd of dedicated drivers, automatic transmissions have nicknames like “slush box” because there is no replacement for the connection to your vehicle and the road that you get from a manual transmission. The reality is that there is good reason for these nicknames and for many people’s commitment to the manual transmission. An automatic transmission accomplishes the same task of providing variable gear ratios through which your vehicle’s engine can provide power to the wheels of your car as a manual transmission. The reality is, both gear boxes do so in very different ways. One of the main differences between how an automatic and manual transmission function is the use of a torque converter vs a clutch. Most automatic transmissions use a torque converter to transfer power from the engine to the transmission. A torque converter is a fluid coupling that uses two spinning disks with fluid in between to transfer momentum. Since it is a fluid that transfers the power it gives a smooth acceleration even if you stomp on the gas and allows your engine RPM’s to vary greatly from your transmission’s. While making for a smooth ride, this doesn’t give the feel of being connected to the road. The other main difference is how your transmission selects the gear ratio. 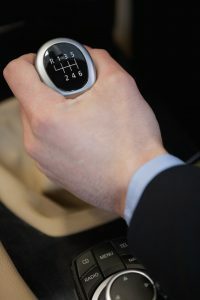 Besides the obvious difference of an automatic transmission being controlled mechanically or by a computer, it changes gear ratios through a series of clutches and bands rather than shift forks and collars. Similarly, this method of changing gear ratios produces a smooth transmission between gears. Due to its design, a manual transmission is a much more precise and distinct system for selecting gear ratios and connecting them to the engine and wheels. When you shift from one gear to the next you are coupling those gears to the input and output shafts of your transmission making a quick and sure gear ratio change. As you move your shift lever into gear it is sliding a collar over the end of a gear. The collar is connected to the input shaft in your transmission so once it engages the gear, that gear is also. The grinding sound you hear is that collar colliding with the end of the gear if it is spinning at a faster or slower speed than the shaft in your transmission. Modern transmissions minimize this grinding by adding a synchronizer ring before the gear that helps get the collar and input shaft up to speed during a shift. The synchronizer ring, often simply called the “synchro” keeps things quiet and smooth in between shifts. 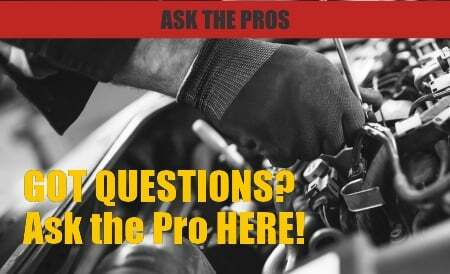 If your transmission is grinding, then it is an indication that the synchronizer ring isn’t doing its job. Since the shift collar slides on the synchronizer on every shift, this could simply be an indication that your synchronizers are simply worn out and in need of replacement. Also, synchronizer rings can be made from many exotic materials that require special additives or transmission fluids to function properly so it could also be an indication that you’ve got the wrong fluid in your transmission. Lastly, the grinding you’re hearing could also be an indication that there is a lack of lubrication in your transmission causing the synchronizer to malfunction. If you’ve got a grinding transmission, the first thing to do is check your transmission fluid level to make sure your synchronizers are getting the proper lubrication. If you discover a low transmission fluid level, then you’ve got a leak somewhere in your transmission. To quickly and easily seal the leak, simply add BlueDevil Transmission Sealer along with enough transmission fluid to get the level back to where it should be. For more information about Blue Devil Transmission Sealer, click on the banner below! My 1991 chev.S-10 has a hydraulic clutch. My manual trans.grinds when shifting.How is fluid or grease added to the trans.? Thank you for asking about your Chevy S-10. Unfortunately, we do not manufacture a product intended for that kind of a leak. A hard part repair may be your best option.